I think I’m in paradise! While Hidden in the Night was being published, I took my son to visit my parents. 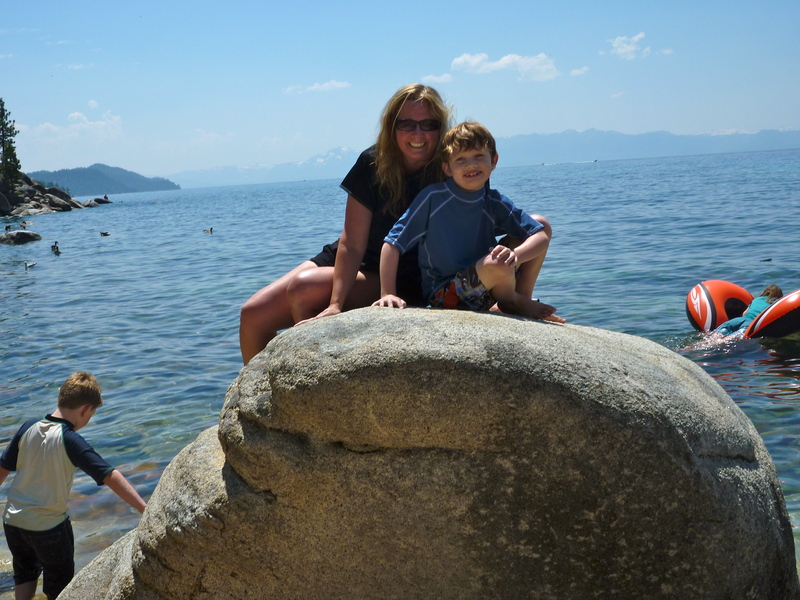 We spent three days at Lake Tahoe. Since I grew up in the area, I have spent many, many hours up at the lake. It was the party spot of my youth, and I have many memories of fun in the sun. I also lived up there for a while and was able to enjoy the lake every day. If you have never been to Lake Tahoe, put it on your bucket list. You won’t be sorry!